With Knowledge and experience working in some of Edinburgh’s luxury and well sought after homes we work closely with our clients to provide a professional design that compliments your home and brings out in natural features. Attention to detail is limitless when entering homes and we will not be happy until our clients are. Before starting any Interior Painting we must first make sure that all the furnishings and flooring is covered with clean dust sheets. All hardware and fittings will be removed or properly protected ensuring these areas are kept free from dust and paint spots. Surface preparation is of paramount importance and includes stripping wallpaper, burning off peeling and bubbling areas by electric heat gun, scraping back peeling areas, sanding smooth all perished, flaking and loose areas, renewing loose or perished putties, filling holes and imperfections with appropriate fillers and abrading all surfaces to ensure adhesion. All surfaces will then be brushed down to remove any dust. Paintwork will be washed down with sodium hypochlorite or sugar soap where necessary to remove any grease and grime. Hard wearing, transparent or colored, decorative and preservative finish that highlights and protects the wood surface below. Matte and high-gloss versions are available. You can buy water-based and oil-based types. Soaks into the wood to provide a decorative and sometimes preservative finish. Darkens or colors wood. Matte to gloss, water-based and oil-based types are available. 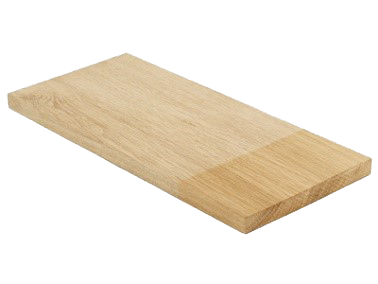 Subtly enhances natural color or evens out shades on different pieces of wood. Dyes can be mixed to match an existing color. Gives a matte finish. Water-based and oil-based types are available. Transparent or translucent decorative finish; some types can be buffed to a high gloss. 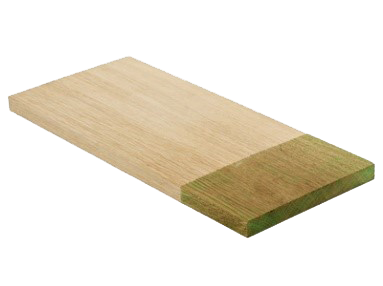 Feeds and protects the wood but will not penetrate a sealed surface. Both water-based and oil-based types are available. Transparent finish that nourishes and protects wood. External surfaces lose their finish but stay protected. Buff to achieve mid-sheen finish. Will not penetrate a sealed surface. Prevents rot and insect damage. Available clear or colored with a matte or a semigloss finish. Both water-based and oil-based types are available. In most historic buildings, the window sash, window framing, and the architectural detail surrounding them were all carefully designed to harmonize with the style, scale, and character of the building. It is important, therefore, to retain the original window configuration, including the size of openings, sills, lintels, decorative wood or masonry moldings, as well as the sashes themselves. Replacing sashes and frames is often unnecessary, because in many cases existing historic windows can be repaired. If it is necessary to replace or alter any window elements, such changes must be made according to the Commission’s Window Rules. The historic and architectural character of a building can be seriously damaged by inappropriate window treatments. The deterioration of historic windows is caused by age, weathering, and inadequate maintenance. Such deterioration makes window operation impossible or inefficient, and diminishes energy performance. Because it is desirable to maintain the original materials in historic buildings, the installation of new window sashes and frames is appropriate only when the windows are in such poor condition that replacement is required. Deteriorated wood windows can often be restored in a cost-effective manner by treatment with preservatives, wood fillers and epoxies, and by replacement of only severely damaged sections. Broken, sticky, or loose sashes can be removed from the frames for repair, excess paint can be stripped from the sash and tracks, and weather stripping installed. Repairing and preserving historic windows rather than replacing them is strongly encouraged, and will save original material while saving money. The major causes of water damage to windows are interior condensation and exterior exposure to the elements. In cold weather, water vapor contained in the warm air inside a building condenses on cold surfaces such as glass panes in windows and doors, or on window and door frames. Condensation attacks glazing putty and paint, causing loosening, disintegration, blistering, and peeling. To prevent water damage to exterior components, it is important to seal all places where water might seep into the building. Windows should be regularly repainted, before old pain cracks and flakes off, exposing the wood. All horizontal surfaces on windows, such as the sills and the tops of lintels, should be slightly pitched so that water does not collect on them. Window-glazing putty solves this problem on the actual sash by directing water away from the window muntins. Priming the wood muntins under the putty helps to protect the wood, should the putty crack and water seep in, and helps to form a better bond between the putty and wood. In masonry buildings, the joint between window frames and the masonry wall should be caulked to prevent water seepage during driving rains or when ice accumulates. The caulking compound used should be selected for its color, adhesion, and flexibility. Shrinkage of wood parts often causes window sash to become loose and drafty. A good way to stop drafts is to install weather stripping. Although weather stripping is one of the least expensive components of a window, it can increase energy performance by as much as 50 percent. Weather stripping should be installed at the upper, lower, and meeting rails of windows, and around the sash and frame. A frequent problem with many old windows is that they become difficult to operate, or completely inoperable, due to the accumulations of numerous layers of paint on the sash and frame. Where sections of wood window sash, frames, or sills have deteriorated but are essentially sound, the deteriorated wood can be consolidated. 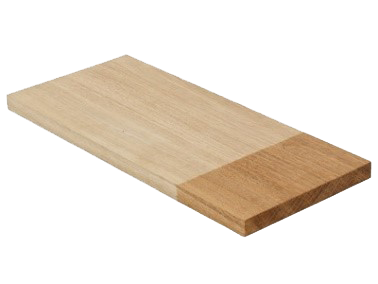 The loss of wood is progressive. At first the mass of the wood diminishes but retains its original size and shape. As decay continues, the wood shrinks and begins to crumble. Epoxy consolidates can replace the lost mass, restoring strength to the wood. Holes and gaps can be covered with epoxy paste fillers. Epoxy consolidates are syrupy liquids that permeate porous or decayed woods and are applied to the deteriorated areas to saturate the decayed wood. For consolidates to penetrate deeply and to be effective, all wood must be dry. Any gaps in the wood are then filled with epoxy paste, which is a consolidate that’s combined with powdery fillers and has the characteristics and flexibility of wood. Filler can be primed and painted, once it’s cured. The exterior surfaces of wood windows and window frames should always be painted, rather than varnished. Varnishes and other clear finishes are not durable and historically were very rarely used on windows.